Lower Valley Friday Flyer 06 May – OUT NOW!! This entry was posted in Brighouse, Elland, Get Involved / Have Your Say, Greetland & Stainland, Hipperholme & Lightcliffe, July, June, May, Rastrick and tagged Friday Flyer. Throughout May and June, CREW Heart Support Group will be running led health walks that everyone can join. Long and short walks to suit all those who want to get involved and there’s no need to book, just turn up on the day and time of any walk. This entry was posted in June, May and tagged calderdale, CREW Heart Support, Get Involved, Go Walking, Health, Health Walks, June, May, walking. Stainland’s very own community cafe is set to launch soon so be sure to go along for light bites, meet and make friends and take your children for table top activities. This entry was posted in Get Involved / Have Your Say, Greetland & Stainland, May and tagged calderdale, Children's Activities, Community Cafe, Get Involved, May, St Andrews Church, Stainland, Stainland Road. From Friday 20 May Sector Support Calderdale have a number of upcoming training courses. From Volunteers and the Law to Child Protection and Adults at Risk, there may be something to suit your role even if you just want to improve your grant application skills. Payment in advance is required to secure bookings and payments can be made by bank transfer or cheque made payable to North Bank Forum. To reserve places or to request a booking form contact Olivia Swingler or Jake Farrar on 01422 345174 or email sectorsupport@nbforum.org.uk. This entry was posted in Get Involved / Have Your Say, July, June, May, Nov, Oct, Sep and tagged calderdale, Get Involved, july, June, May, November, October, Sector Support Calderdale, September, Training. 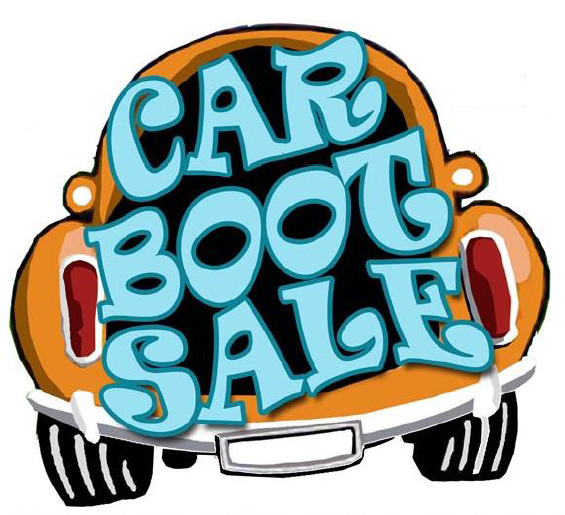 Go along for a charity car boot in aid of Rastrick Plays Better and Carr Green Primary School. This entry was posted in Get Involved / Have Your Say, May, Rastrick and tagged calderdale, Car Boot Sale, Carr Green Primary School, Get Involved, May, Rastrick, Rastrick Plays Better. This session will help you to understand the legal nature and usefulness of contracts and policies in the workplace. Know the required elements of a written statement of employment particulars and be able to develop your own appropriate documents. This entry was posted in Elland, Get Involved / Have Your Say, May and tagged All Saint's Church, calderdale, Elland, Get Involved, May, Training, Voluntary Action Calderdale. Lower Valley Friday Flyer 29 April – OUT NOW!! This entry was posted in Apr, Brighouse, Elland, Get Involved / Have Your Say, Greetland & Stainland, Hipperholme & Lightcliffe, July, June, May, Rastrick and tagged Friday Flyer. Whatever the weather, there’s lots happening across Calderdale this May Day Bank Holiday. Find out more at our Visit Calderdale website and don’t forget about our excellent film trail – copies at tourist information centres or on the Visit Calerdale website. For changes in Council services, including sports timetables and recycle and waste collections this Bank Holiday visit Calderdale Council website. Many services are available online 24/7. This entry was posted in Get Involved / Have Your Say, May and tagged May Day Bank Holiday. Please wear loose fitting clothes and comfortable footwear. Prior to any form of new physical activity it is advised that you consult with your doctor. This entry was posted in Apr, Aug, Get Involved / Have Your Say, July, June, May, Sep and tagged Calderdale Council, Shelf, Shelf Village Hall. Go along to an Art Exhibition and Sale with organ music and craft stalls this weekend at All Saints’ Church, Savile Road, Elland, HX5 0NH on the following dates. This entry was posted in Apr, Elland, Get Involved / Have Your Say, May and tagged All Saint's Church, Craft Stalls, Crafts, Elland, Event, Get Involved, May, Stalls.